Bringing you perspective on some of the people I know in Burkina Faso – today, Marie-Claire. I work for Oxfam Québec. 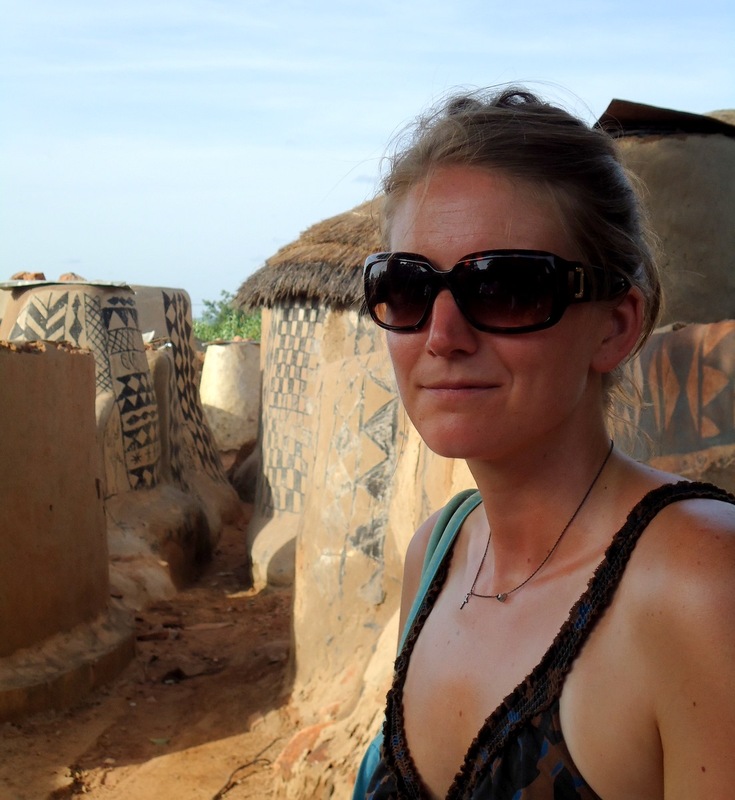 I work as a communications consultant with a local women’s association in Ouagadougou. What is the thing that shocked you the most about BF? The organized chaos. The smells, the heat, the sounds, the dust, the heat, the kids running around, the traffic, the heat, the poverty. What impresses you the most about BF? The people, their generosity, their optimism, their hope, their kindness, their faith. What is your favorite thing about your experience in BF? Meeting all the wonderful and inspiring people I’ve been fortunate enough to meet as well as working on a project I really care about. What is the hardest thing about your experience in BF? Nothing here is simple (or maybe things are too simple and my North American brain doesn’t get it yet) and everything will always take time and/or be delayed. Other than that, I’ve had to learn how to drive a “moto” in the craziness that is the Ouaga traffic, where there are no rules of the road, way too many drivers of all kinds (cars, buses, bicycles, donkeys, horses, etc.) and no known street names. Another thing would be witnessing the consequences of poverty, especially the impact it has on women and children. Tell us something you discovered about yourself here. I learned I am a lot more patient than I thought I was, that as long as I can take a proper shower, I can easily adapt to most situations and that as long as I’m surrounded by good, inspiring people, I’m happy. Tell us about the people of BF. Burkinabés are open, welcoming, helpful, grateful people; they are always ready for a good time and a good laugh. However, they are never on time and they don’t believe in “blind spots”. A big crunchy, disgustingly healthy salad and Montreal bagels with cream cheese and smoked salmon. What’s the most important item (or items) you brought with you? My music, my camera and a photo-book my roommate made for me. What song or artist keeps you going here (local or other or one of each!)? Although I’ve discovered a passion for dancing until 4am to all kinds of West African music, and that I’ve kept my house filled with music, I’ve found that listening to the Podcasts of my favorite radio shows has helped to keep me connected and grounded. Plus, a friend and I started a new tradition of spending our Sunday mornings with Louis Armstrong, Duke Ellington and Ella Fitzgerald – pure comfort!